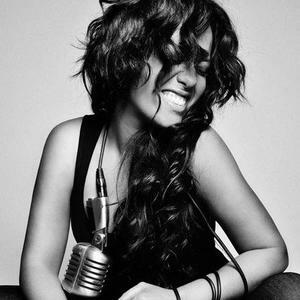 Amel Bent (born Amel Bentbachir on June 21, 1985 in Paris, France) is a French singer who grew up in the French commune of Jou?-l?s-Tours with her Algerian father and Moroccan mother. Her career jump started after making it to the semi-finals of the reality T.V. show Nouvelle Star 2, France's version of Pop Idol. Although her performance did not make it to the finals, she was still noticed by some of the show's producers, and would end up making her debut album later that year, titled: Un Jour d'?t?, released in late 2004. The album would sell more than 200,000 copies in France alone, but the success of the album would ultimately be derived from the single, Ma Philosophie, which would sell at more than 500,000 copies, staying at the No.1 slot, in France, for more than 6 weeks during and after sales.